Manufacturers, formulators, and distributors of crop inputs including crop protection (both traditional agrichemical and biocontrol) and plant health products (including fertilizers, biostimulants, macro and micronutrients) around the world look to AgriBusiness Global for company news and profiles, in-depth country/region reports and insight on product registration and distribution. I wish to receive/continue to receive a FREE subscription to AgriBusiness GlobalTM digital magazine. 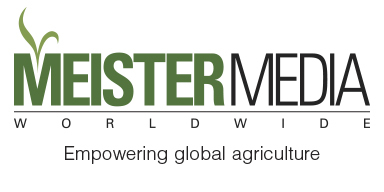 AgriBusiness Global UpdateTM - published weekly, provides news and analysis of supply, demand and regulations affecting crop inputs and agriculture companies. Select the option that best describes your job title. From time to time we'd like to send you carefully pre-screened business information from our preferred supply partners. Please select if you would like to receive this information.